Laurie here from Stamping Up North. I've been busy trying to get ahead making some Birthday cards I need soon, and actually even a Father's day card. I know, I know......it's kind of early for that, but as long as I was making cards with Tutti's Tool Frame....I made a bunch! 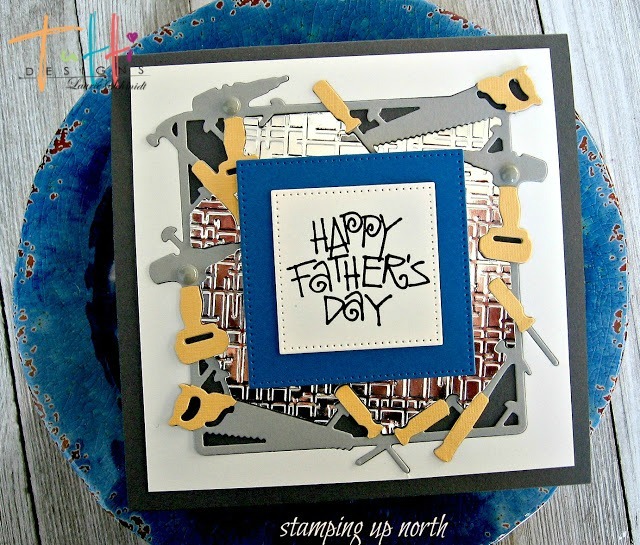 I just kept cutting it out in different colors and adding different sentiments in the middle. 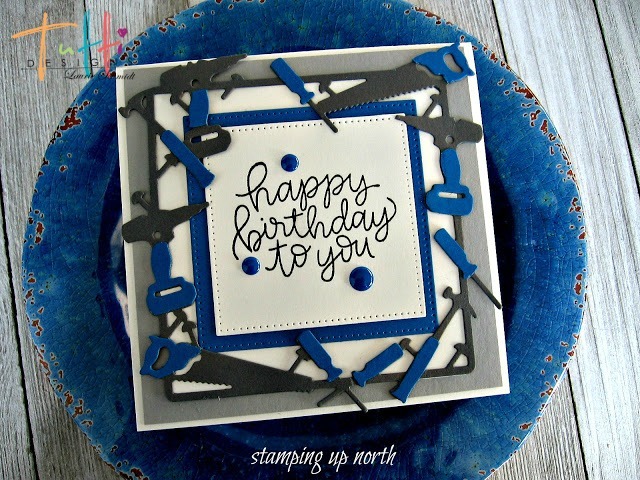 For my first card I cut a frame out in dark grey and also blue. Then I paper pierced the blue parts of the tools onto the grey. I cut out a couple of dotted nesting squares, and stamped my image. I adhered them all together and added my tool frame, and a couple of enamel dots. For the second card, I switched it up a bit. I used a lighter grey for the tools, and yellow for the tool handles. 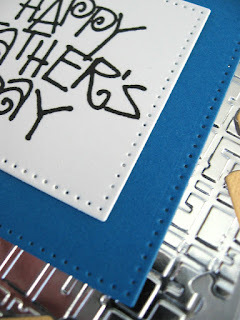 Then I cut out the tool frame in foil paper, and embossed just the middle section for a background. Then I inlaid it all. I stamped my sentiment and added some enamel dots. I made a bunch of cards with this frame, I'll share some more another time. I had fun making some for the gals that are handy with tools, and also did quite a few just using parts of the tool frame. WOW! What a great guy card Laurie and I bet the female version is awesome too! 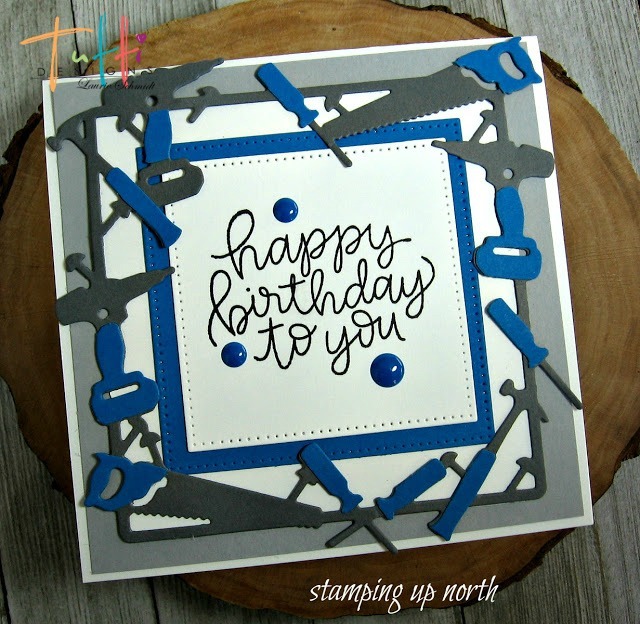 And, the foil paper is perfect with this tool die! Can't wait to see more! Awesome inspiration ... thanks! What a great idea, Laurie, to create one for the ladies and the gents. These are fantastic! Such a brilliant card Laurie, loving that die.